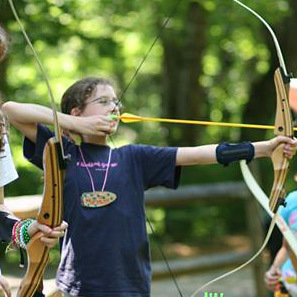 The first day of camp is one where everyone launches into the regular in-camp activities. After selecting their first set of four (2 in the morning and 2 in the afternoon) the day before, it’s fun to see the girls divide up into lots of little groups and head off to the different parts of camp where activities are held. This could be one of our 100-year-old log cabins, one of our stone meeting lodges, “hiker’s rock,” the gym, the lake, the equestrian center, or the alpine tower. The whole camp gets busy and spreads out to have fun! Naturally, during the sign up process, the girls often sign up for things because their friends have also selected a certain activity, but also because it’s something new this year, or it’s something they’ve always wanted to try. 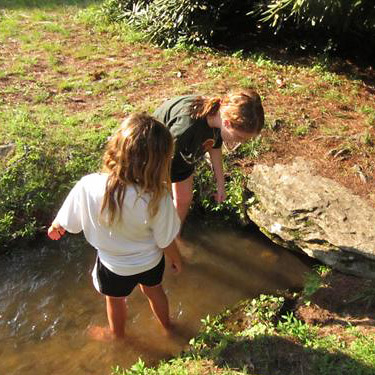 During this regular activity time at camp, if you wander around, you’d be amazed by what the girls are doing. Just about everywhere you look, there’s something cool going on. Girls swimming in the lake, making pottery, learning a new dance, shooting arrows, painting and drawing, playing dodge ball, canoeing, kayaking, climbing and riding horses. The list goes on! Today at “Muffin Break” (the 15 minutes between 1st and 2nd period) we all enjoyed a classic blueberry muffin. Did you know that our kitchen has a baker, Liz? She makes all of our muffins, cookies, and desserts each day from scratch. It’s always the talk of camp to find out what kind of muffin she’s made for us that day. What a treat! The other big event today was our “Swim Demonstrations.” Ordinarily, we do these on the opening day of camp, but yesterday a couple of afternoon thunderstorms made that difficult, so we postponed to today when the weather was excellent, sunny and warm. The swim demo is an exercise where each camper demonstrates her swimming ability to the water front staff. This involves swimming about 60 yards and treading water for 30 seconds. 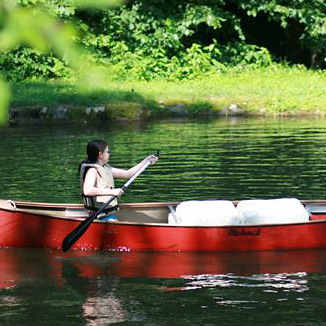 Doing this well earns a red buddy tag with your name on it and permission to swim in the lake without a life vest. 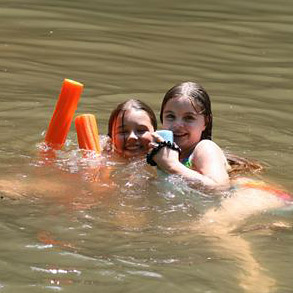 If a camper can’t quite do this with confidence, the swimming staff will offer her swimming lessons and in the meantime restrict her to the shallow part of the lake and require she wear a life jacket. We don’t insist anyone go swimming while at camp, but if they want to swim or go on any water-related trips (whitewater rafting, for example), they must “pass” the swim demo. One of my favorite times at camp is right after dinner, during the hour we call “Twilight.” It’s just a bit of free time between dinner and the start of evening program, or some other all-camp event. But it always feels so good. The sun sets on the hill, there’s often a cool breeze and the girls are free to play in the creek, play tetherball or simply hang out. 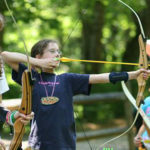 We also always offer one or two optional activities during Twilight, like tonight when Becky led group games down on the archery field and Molly took a group of girls down to work on the garden. These are optional, but still nice if you’re looking for something to do. Camp is off to a great start. Be sure to check the photo gallery each day to see more of what’s going on. 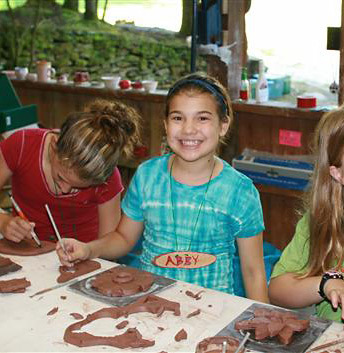 You can also follow us on Twitter for little snips of camp life. One Response to "All Fun Camp Activities"
Free knowledge like this doesn’t just help; it promotes democracy. Thank you.